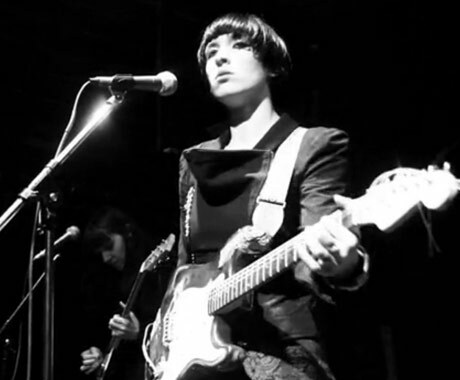 Oakland, CA post-punk quartet Wax Idols issued their Discipline & Desire LP through Slumberland Records last week, and have now offered up a stark, black and white clip for one of the album's strongest tracks, "When it Happens." While essentially a performance clip showcasing Heather Fortune enigmatically strumming a guitar and singing the echo-laden cut, we do get to a few extra shaky, out of focus close up shots of fingers and guitar headstocks. You can sample the Banshees-and-Sisters of Mercy-inspired song down below.